Garlin Murl Conner's bravery and heroism during World War II did not begin and end on January 24, 1945 near Houssen, France, which earned him the Distinguished Service Cross in 1945 and was upgraded to the Congressional Medal of Honor this past Tuesday, June 26, 2018. The Albany, Kentucky did much more. In October of 1943, then-Sgt. 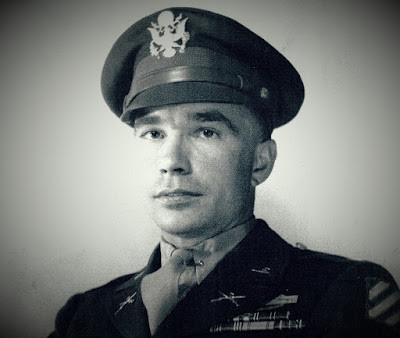 Conner earned a Silver Star for an act of bravery that occured during a heavy enemy counter attack when he left the safety of a covered position to direct fire and place men in a gap in the line. These men, at the time, were separated from their own platoon and were under the heaviest of fire from the enemy who were attempting to infiltrate through our lines. Even though he was a Communication Sergeant at the time of the action, Sgt. Conner, on his own initiative and with utter disregard for personal safety, took control of the situation, giving orders and first aid to many of our wounded, who were unable to be evacuated at the moment. On January 30, 1944, near Ponte Rotto, Italy, Tecnical Sergeant Conner earned a Bronze Oak Leaf Cluster in lieu of a Second Award of the Silver Star. At about 0200 hours, he stormed a strongly fortified house, leading an assault group which he had organized, and succeeded in clearing it. Held by enemy soldiers armed with machine guns and machine pistols, the house blocked an attack being made by Company K. Four men previously sent to capture it were wounded. Taking a bazooka team and two rifle grenadiers with him, Technical Sergeant Conner led the way across 50 yards of exposed terrain and openly directed such effective fire on t he enemy at 25 yards range that one machine gun and two machine pistols were silenced and the crew of a fourth automatic weapon was routed. As a result, Company K continued its advance unhindered. On September 11, 1944, then 2nd. Lt. Garlin Murl Conner earned a Second Bronze Oak Leaf Cluster in lieu of a Third Award of the Silver Star. His fearless leadership under devastating enemy shell and small arms fire, resulted in the capture by his company of a road junction i southern France. Despite shells bursting within 10 yards of him, first hitting six men and later wounding three more, 2nd Lt. Conner continued advancing and inspiring his platoon to follow him until he was approximately 300 yards from the enemy. He then crawled forward alone for about 250 yards through mortar, machine gun and rifle fire that barely missed him, and observed the enemy's dispositions. Leading his platoon by a covered route to the rear of the enemy, he launched a surprise attack that knocked out a machine gun and two mortars, killed three of the enemy, captured seven, and forced the remainder to flee. On February 3 1945, 1st Lt. Garlin Murl Conner earned a Third Bronze Oak Leaf Cluster in lieu of a Fourth Award of the Silver Star for gallantry in action against the enemt. At 1700 hours, in southern France, he assumed command of a badly battered and disorganized rifle company and led it in an assault over 200 yards of fire-swept ground. Despite bullets which barely missed him, 1st Lt. Conner dashed forward with such grim ferocity that the enemy's morale was shattered. Closing in hand-to-hand combat he led his assault elements in killing 12 and capturing 75 of the enemy, totally shattering enemy resistance in the town. Lt. Conner served with 3rd Battalion, 7th Infantry, 3rd Infantry Division. According to U.S. Army's official website, army.mil, he took part in campaigns in Algeria-French Morocco, Tunisia, Sicily, Naples-Foggia, Anzio, Rome-Arno, Southern France, Rhineland, Ardennes-Alsace, Central Europe. “Today we pay tribute to this Kentucky farm boy who stared down evil with the courage of a warrior and the heart of a true hero. [He] was indeed a giant in his daring, his devotion and his duty. He was larger than life." - President Donald J. Trump, June 26, 2018. Everything was going okay that day until all the other Post brothers got together in a huddle and decided to team up against Little Jimmy Post. I don't know for sure how things turned out for my buddy, but I have to believe that he made it through it okay. You see, life can be tough, at times as hard as crucible steel. That's what Dr. Martin Luther King, Jr. said in his "Eulogy of the Martyred Children," which he delivered on Sept. 18, 1963. 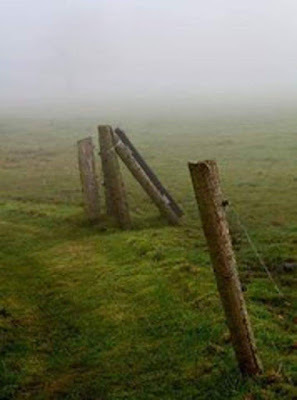 "[Life] has its bleak and difficult moments. Like the ever-flowing waters of the river, life has its moments of drought and its moments of flood. Like the ever-changing cycle of the seasons, life has the soothing warmth of its summers and the piercing chill of its winters. And if one will hold on, he will discover that God walks with him and that God is able to lift you from the fatigue of despair to the buoyancy of hope, and transform dark and desolate valleys into sunlit paths of inner peace." You don't have to face your struggles alone, if you believe what the bible says in Philippians 4:13: "I can do all things through Christ which strengtheneth me." We can all learn a lesson from Little Jimmy. I pray that you will. Things aren't always as they seem. Consider this story that appeared in the Louisville Courier-Journal's "Greetings" column on Feb. 20, 1959, as told by Charles Brents. The actual incident occured sometime between 1926 and 1929, when my great-grandfather, A.H. "Hige" Boles, was sheriff of Clinton County, Kentucky. When Prohibition went into effect in 1920, millions of otherwise law-abiding Americans chose to violate the liquor ban to satisfy their thirst for booze. Such was the case in Clinton County, which like all other places, thrived in the production and sale of illicit alcohol, such as moonshine. 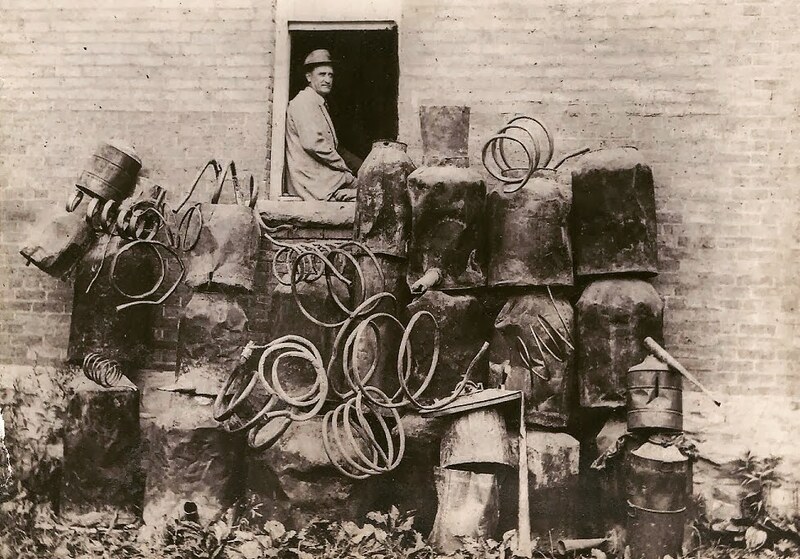 As you can see in the photo, busting moonshine stills kept my great-grandfather busy during his term as sheriff. According to Brents, during one raid, Hige and his deputies found three men, one of whom was a constable who said, "Sheriff, you are too late. I have already captured these two fellows." While both men were convicted and fined $50 each, it was later learned that the constable had been a third partner in the still. His quick thinking had saved him from arrest and punishment. Bro. Melvin Daniel said something at Steve Bell's funeral that really summarized, not only Steve's life, but mine, too. He said, "You don't win a prize when you get knocked down. You only win a prize when you get back up." That really hit home with me and inspired me to write the following. 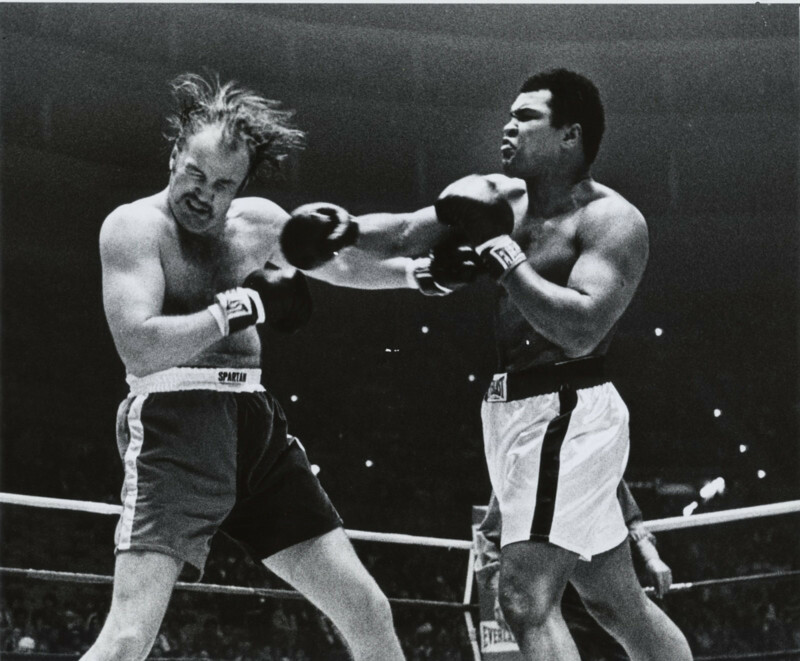 I remember when a boxer by the name of Chuck Wepner went up against Muhammad Ali at Richfield Coliseum in Richfield, Ohio. The date was March 24, 1975. Wepner was known for using dirty tricks in the ring, but the fight was thought to be an easy win for Ali, who did minimal training for it. After all, he had just beaten George Foreman in the "Rumble in the Jungle" match and was very much at the top of his game. So, everyone knew he was going to win. Everyone, that is, except Wepner, who knocked Ali down in the ninth round. 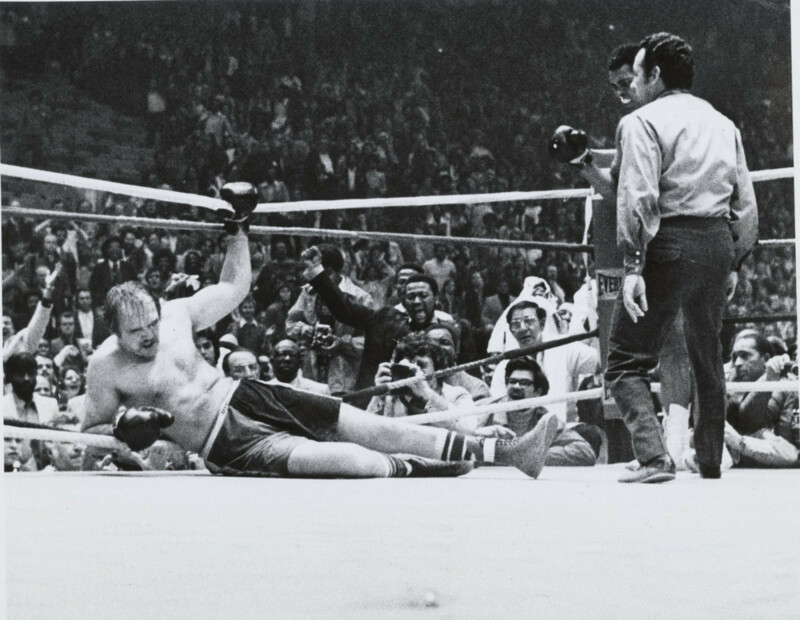 Even though Ali claimed Wepner stepped on his foot and then pushed him, the referee ruled it a technical knock down. 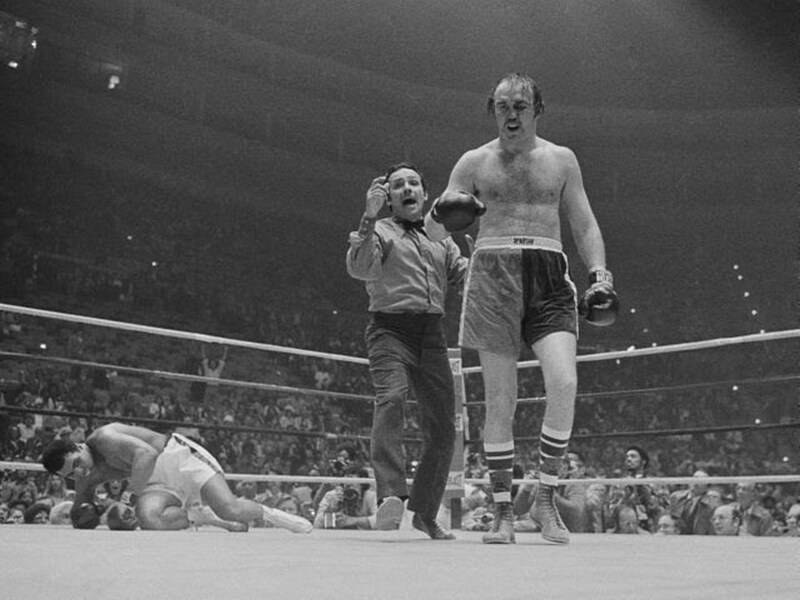 Wepner believed he was about to be crowned heavyweight champion of the world. He had almost knocked out the great Muhammad Ali. So, he goes over to his corner and says to his manager, "Al, start the car. We're going to the bank. We are millionaires." The manager replied, "You better turn around. He's getting up and he looks [mad]." Ali punished Wepner for the rest of the fight, scoring a technical knockout in the 15th round. The match would inspired Sylvester Stallone to write the script for "Rocky." "Let me tell you something you already know. The world ain't all sunshine and rainbows. It's a very mean and nasty place and I don't care how tough you are it will beat you to your knees and keep you there permanently if you let it. You, me, or nobody is gonna hit as hard as life. But it ain't about how hard ya hit. It's about how hard you can get hit and keep moving forward. How much you can take and keep moving forward. That's how winning is done! - from "Rocky Balboa," 2006. The question in life isn’t whether or not we will fall down, but whether we will be bold enough to get back up again. It's easy to decide we can’t do it. For Steve Bell, getting back up took courage and a willingness and commitment to do it, even when he was scared or didn’t think he could. But, he kept getting back up, as Bro. Daniel said. Thomas Edison reportedly failed 10,000 times while inventing the light bulb. "I have found 10,000 ways something won’t work," he said. "I am not discouraged because every wrong attempt discarded is another step forward." You might not achieve all your goals during your life but that doesn’t make you a loser. Suffering defeat doesn't always mean you are defeated. In my life, I trust in God because He knows what is best for me. I firmly believe I am where He wants me to be. Getting up and continuing to get up, is me trusting in Him and allowing Him to work through me. The proof is in my writings. Over the years, I have written many faith-based stories or testimonials and had people comment, "I needed to hear this today." So, I am very content with where I am. What about you? Maybe God has another route laid out for you to take. "You don't win a prize when you get knocked down. You only win a prize when you get back up." So, get up! My dad was born on this day in 1938. It was through him that I learned about the smell of music. I began to ponder it during my early youth each time the guitar case that held his Chet Atkins-endorsed Gretsch Tennessean guitar was opened. For years, I could never find the right words to describe it, and then one day a friend suggested it was the smell of music. From the rosewood finish on the guitar and the plush velvet lining inside the case to the guitar strap that had dad's name on it, there was something special inside that guitar case and the first time I got a whiff of it my life was never the same. 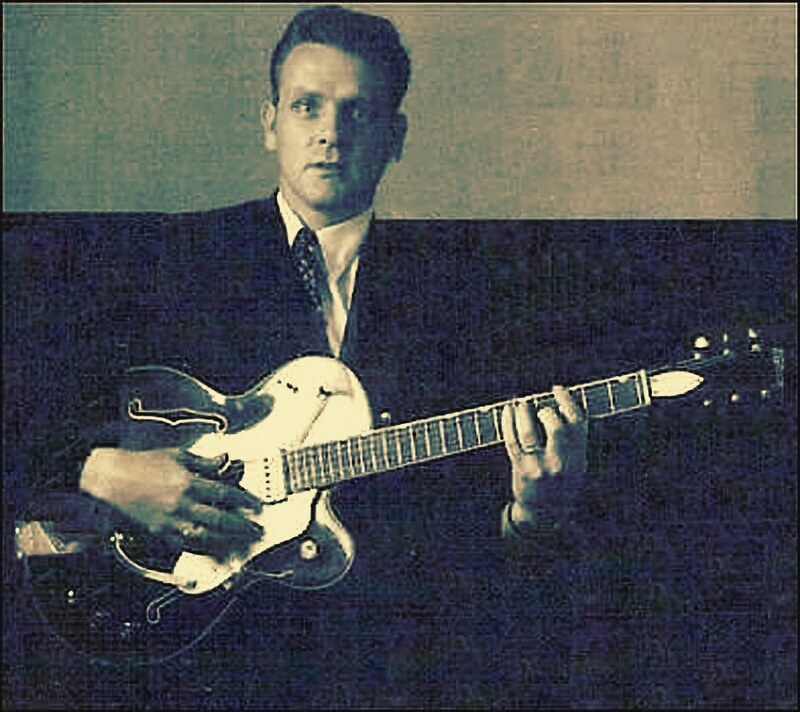 The smell of music set the course for my life's journey, thanks to my dad and his guitar. Happy 80th birthday in Heaven, Dad.